As we touch down and unloaded our luggage in our apartment, we started looking for Dim Sum around our accommodation even though everyone was quite tired after the night's flight. During that morning, there was not many breakfast places opened yet and it only left us with a few choices. In the busy streets at rush hours, you can see the typical office workers rushing their way to work as per daily routine. 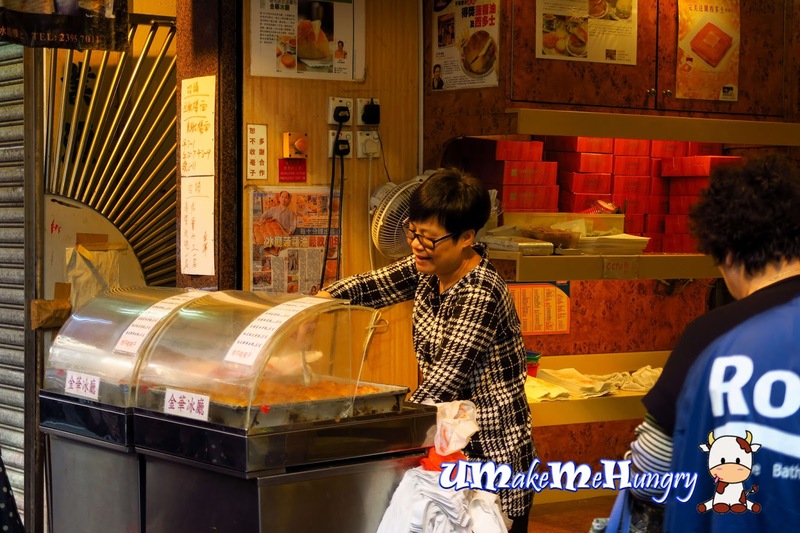 Cafe like Kam Wah has prepared some "grab-&-go" food outside their stall. Rushing for time? Grab & Go here! What's are they selling on the streets? Besides having media articles plastered at the shop front recommending their food, you can get to see the items menu with pricing. 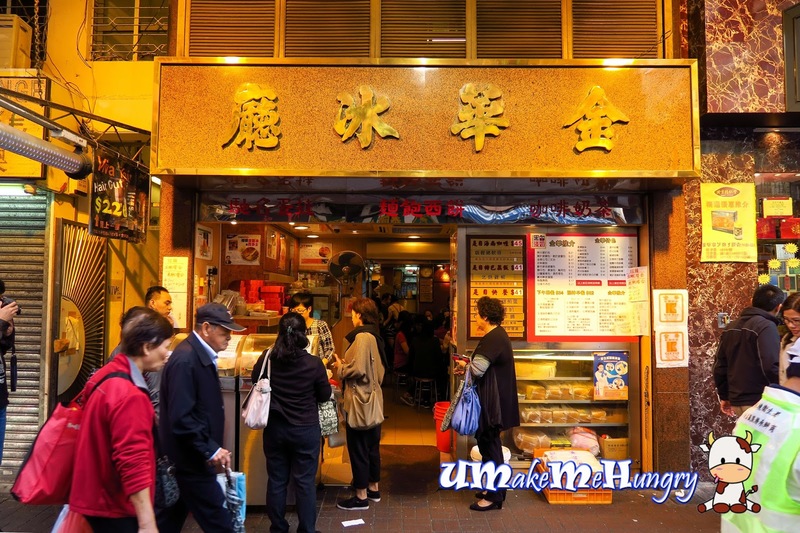 The menu is very good for foreigners like us as we can decide what to have instead of deciding it in the restaurant. With so many visits to Hong Kong, we kind of learn of their impatient culture, thus being too indecisive of what to have or taking quite sometime to order is at disadvantage to us. Service was quick and decisive with experienced server who gave suggestions to our group for breakfast and share among ourselves. 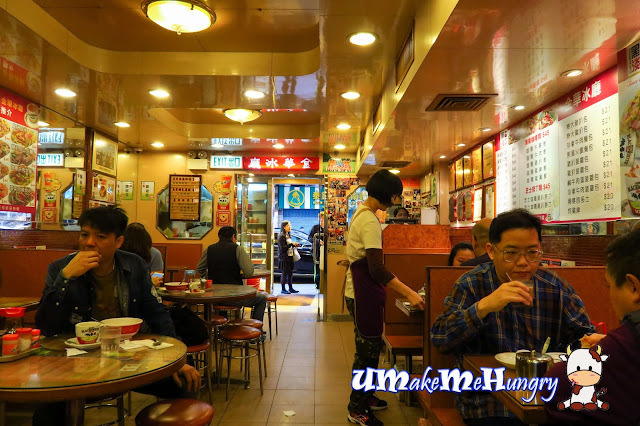 Interior of the "Cha Chan Ting" aka Cafe is a very typical and usual sight of a Hong Kong eatery with benches and tables, big posters and menus on the wall. 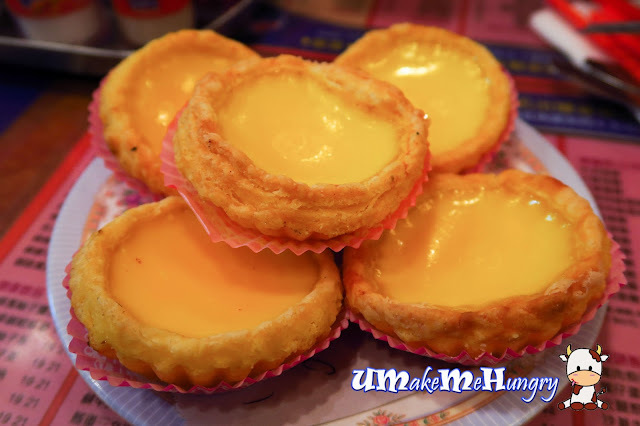 "Dan Tat" (In Cantonese) or Egg Tart in English is a common ordered breakfast /snack item in Hong Kong. The pastries were flaky and was not too sweet with the fillings. We also enjoyed the warm serving pastries thus all of us had ordered one each! Thinking of having Kaya & butter here in Hong Kong with Polo Bun? No, apparently, the flaky top polo bun has only a slice small 5mm thick of butter sandwiched in the bun. 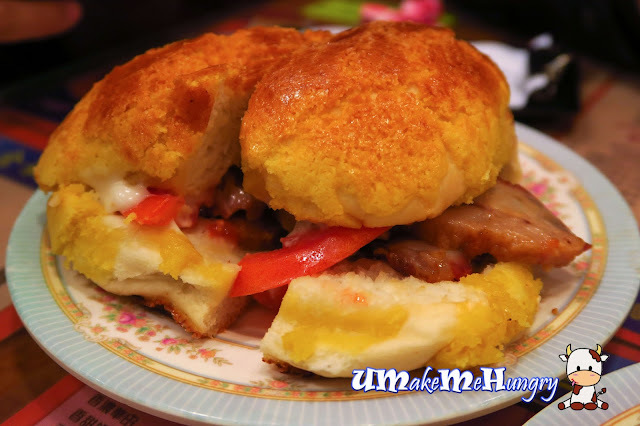 Well, the taste was good with butter gradually melting on the pillow soft buns. Having the plain polo with just butter, this is the upgraded version! 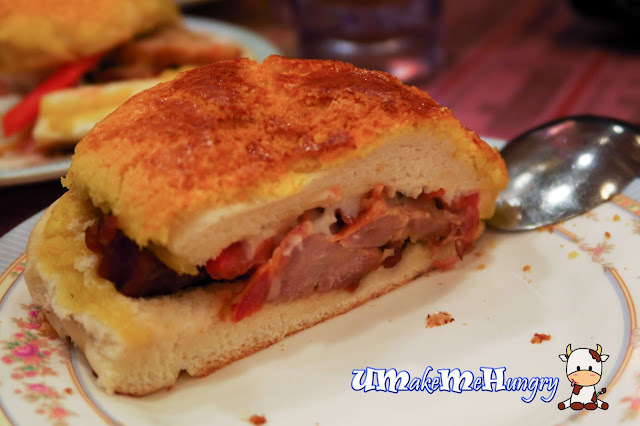 Surprisingly it was good with the yummy Char Siew meat, distinctively lean added with mayonnaise, vegetables and tomatoes. Knowing that we are sharing our portions, the server cut them into half and here's the cross section of it. 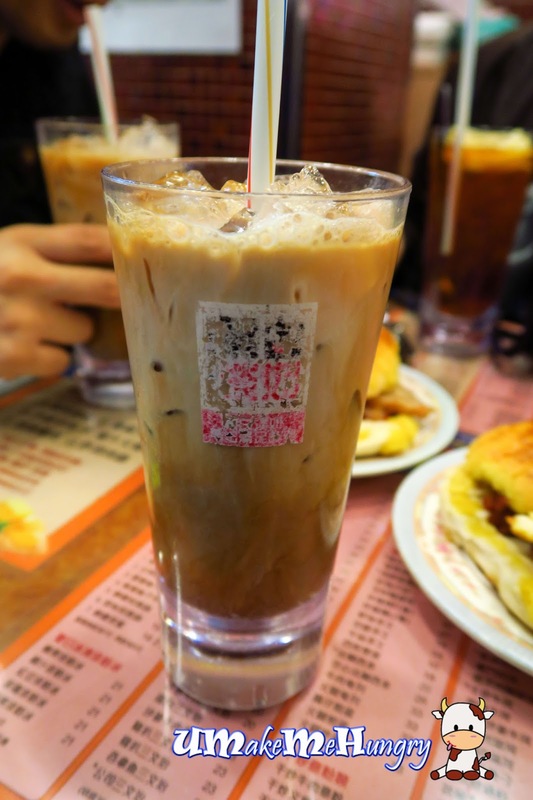 With food passing around among us, we were also getting our caffine fixed by consuming some tea or even Yuan Yang. Look at the 2 shades of colors, make sure you stir well before "use". Unfortunately, my stomach started throwing tantrums on the first day of touch down and I have to keep myself warm with a traditional cup of tea served in this cute little "Black & White Milk" Cup. Oily and apparently so! 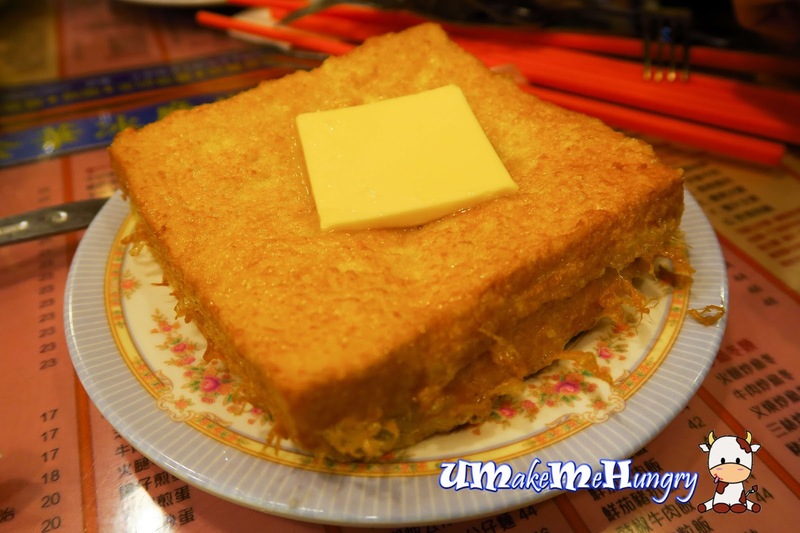 It's just that we could not help skipping such staples from the typical cantonese breakfast in Hong Kong. 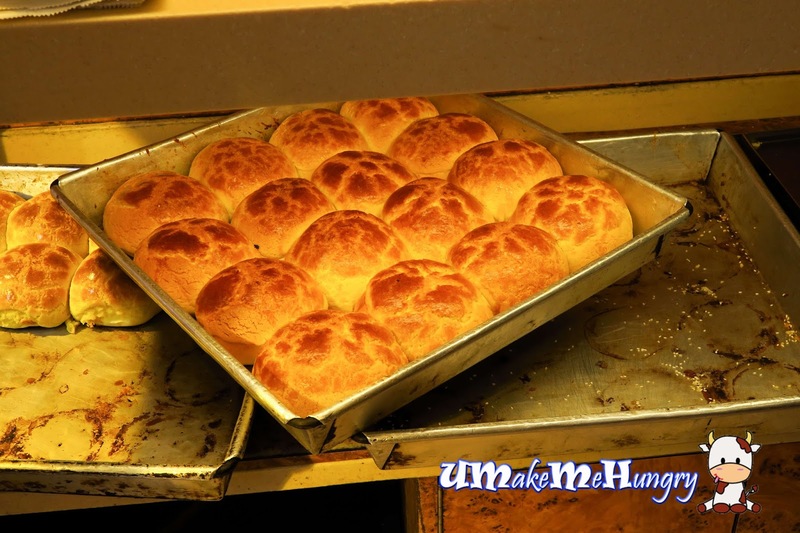 Just like the french toast, these breads were dipped with egg and fried to its golden brown perfection with crispy edges. Slice of butter was place on the top to further enhance its fragrance. Since its for sharing, we did not really mind having a small share of it! Being an Asian and Singaporean, instant noodle is quite common in our household. 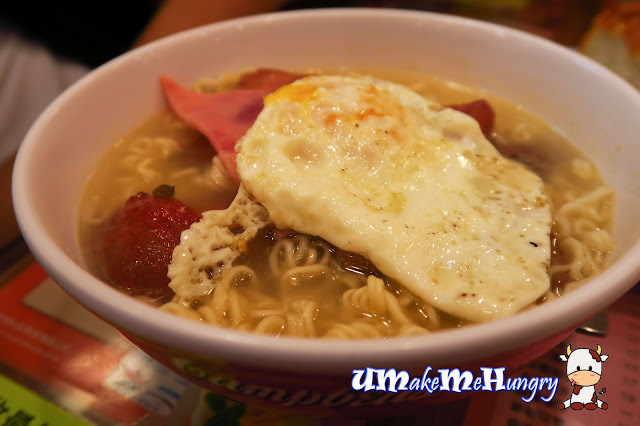 I'm still not very use to having such noodles from the Cafe of Hong Kong but like it or not, having a bowl of such noodles with ham and egg has been a practice all these while in Hong Kong. Seriously, though simple and straight forward, the soup taste not bad! 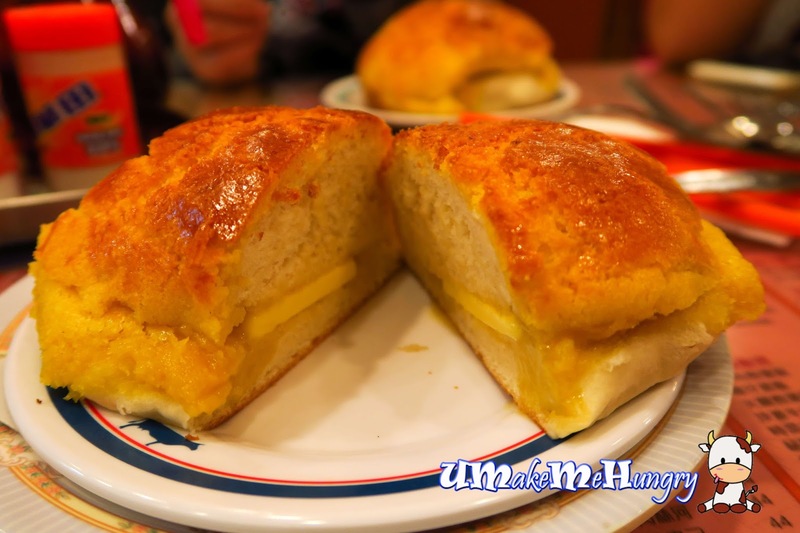 Though service is known to be notorious in Hong Kong, I would say one of their server is quite understanding and recommended us items to be shared and even offered to cut the buns. Perhaps this is one in the minority times that we will get such service in Hong Kong.